Recently, we were extremely fortunate to have the opportunity to share some holiday cheer with our little ones when a local school, The Harmony Tree, reached out to us about featuring AIC’s pre-primary children as special guests at their upcoming holiday party (Christmas Care-nival, an appropriate play on words as the focus is meant to be about spreading joy and caring about others!). On the day of the event, AIC children and staff were met at The Harmony Tree front gate by the entire team, who welcomed them and truly made them feel like honored attendees. 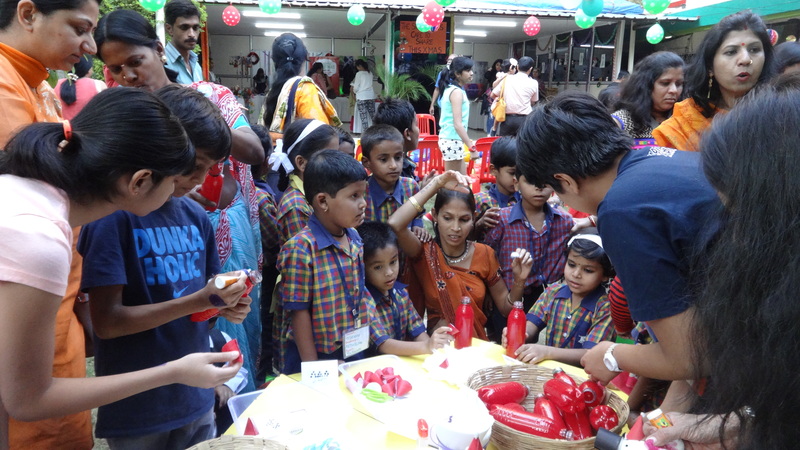 The children participated in activities such as chocolate making, crafts, horse cart riding, storytelling with a professional storyteller, dancing, singing carols with a live band to accompany them, and so much more. 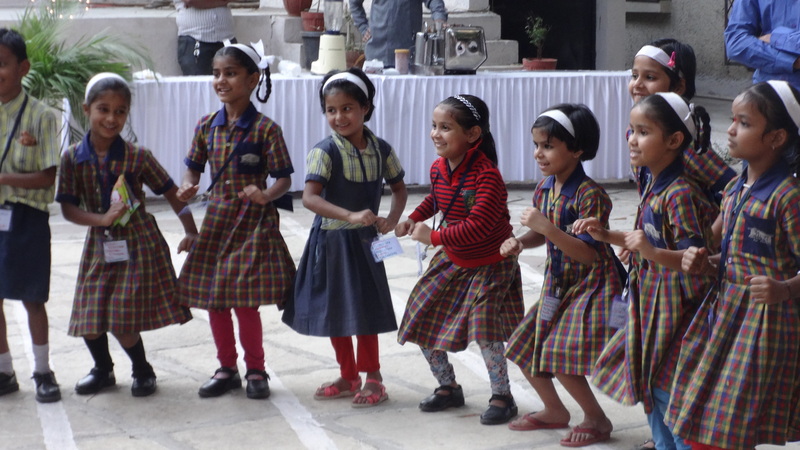 The children were absolutely thrilled about the special dinner as well, which was served on banana leaves and entailed treats ranging from bhel and dosa to cupcakes and juice. As you can imagine, our hungry crowd was not too shy about taking second and third helpings! Last but not least, parents of The Harmony Tree students brought gifts to share with our children, and had so enthusiastically participated in this gifting event that each child ended up with about 3 gifts! To top it all off, the gifts were handed out by Mrs. Claus herself, much to the students’ surprise and awe. 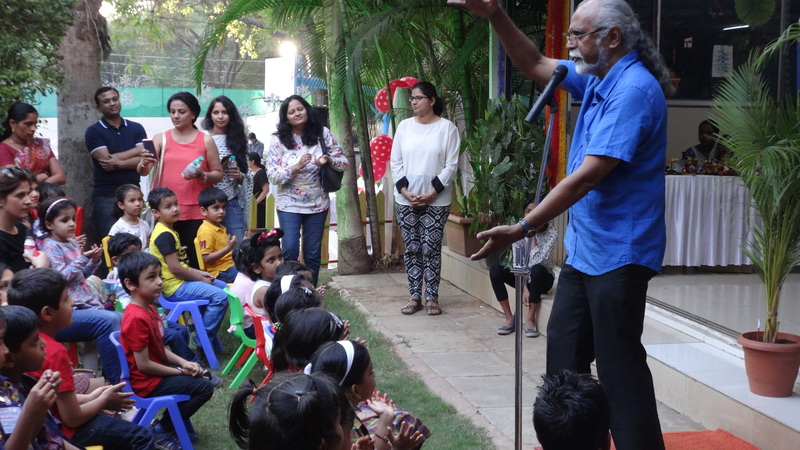 Though the children were nearly an hour late to return back to the AIC Education Centre that night as they could hardly be dragged away from the festivities, their parents couldn’t complain about the late arrival when they saw the stars in their children’s eyes as they regaled their families with stories about their evening! 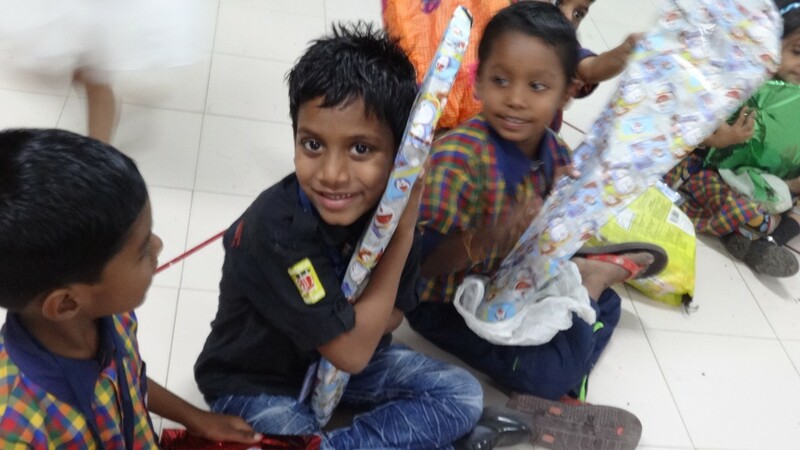 Pre-primary head Barnali describes “so much attention, love, fun, food – everything and everyone revolving around the children” in her account of the day’s events. For children from AIC’s communities, everyday life can be a struggle – food insecurity, poverty, discrimination, and the stigma of belonging to Denotified Tribes circumscribe their lives. However, to be treated with such respect and kindness by complete strangers, who took it upon themselves to organize an event in their honor – this is the kind of experience that sticks with our children. A tremendous thank you to the staff, parents, and students of The Harmony Tree for a beautiful event and for showing our little ones that they are deserving of love, care, and holiday joy, and to our donors for continuing to support the children as they grow, learn, and enjoy special experiences like this. Happy Holidays!